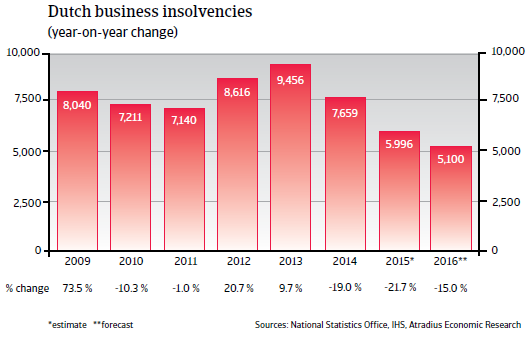 The economic slowdown in 2012 and 2013 triggered sharp increases in business insolvencies. Due to the economic rebound since 2014 business failures started to decrease again, and are expected to decline further in 2016, to about 5,100 cases. However, this figure is still higher than in 2008, the year the global credit crisis started. 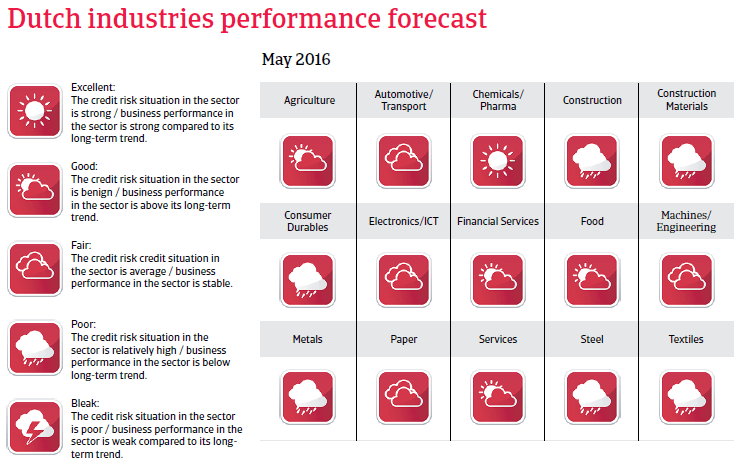 The rebound of the Dutch economy is expected to continue in 2016, although at a lower level than in 2015 (up 1.4%). The economy continues to benefit from lower oil prices, which offer relief to both consumers and businesses. 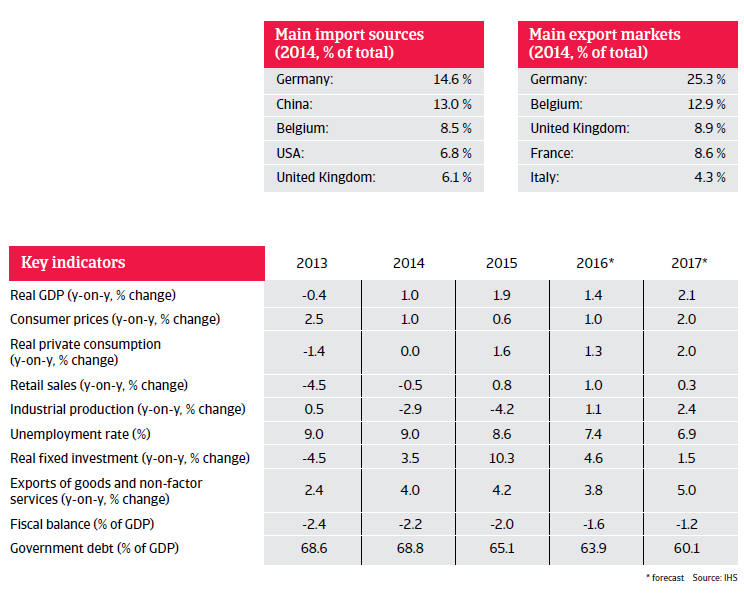 Private consumption is expected to grow further in 2016 (up 1.3%), as households’ purchasing power increases, due to the delayed impact of a EUR 5 billion package of tax relief, low inflation and increasing real wages. Additionally, unemployment is expected to decrease below 7.5%. 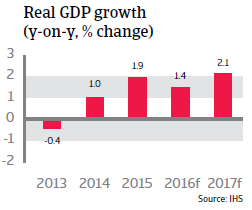 Dutch GDP growth is also sustained by surging investment and a rebound in industrial production. Exports are forecast to increase too, but at a lower level than in 2015. The Dutch government passed a number of austerity measures to trim the budget deficit. These aim to cut expenses by reducing spending on healthcare and social security benefits as well as to increase government earnings. 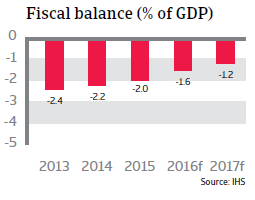 It is expected that the budget deficit will remain below the 3% Maastricht threshold in 2016 and 2017, and that government debt will continue to decrease.